One of my favorite games to just sit down and have a good time with (especially when I’m beating my friends in race after race) is Mario Kart. From the crazy cast and high-speed action to the low-stakes setup and rather strong rubberbanding, it’s just meant to deliver a good time. Imagine how much work this must have taken…the painstaking hours switching every obstacle’s position and swapping every single texture for its achiral twin. Not only that, but you have to reverse the way the AI thinks it’s supposed to go, and invisible things like the finish line have to move around. You also have to be careful not to accidentally reverse things like the input scheme, and the UI on top of everything. Just kidding! You flip a single switch in the renderer to reverse everything horizontally, swap the left and right inputs, and then keep drawing the UI on top like normal. 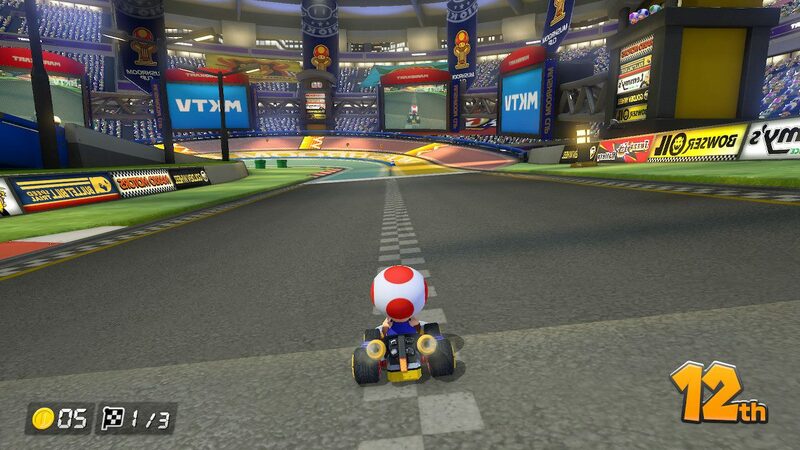 This mode goes all the way back to the Nintendo 64, where it was called “Extra Mode”. It’s controlled by the single flag 800DC608 in that edition, so we can assume there’s a similar system built into modern Mario Kart games. Once you gain a certain level of control over a system (this of course applies if you build the whole system yourself), it becomes very easy to do some astounding things in incredibly simple ways. The reason this is great game design, and not just a cheap trick to squeeze more hours of content into the game, comes down to player expectations. Once you’ve done a certain number of laps around any given course, you get a feeling for which turns are coming up next and what you should be doing to prepare for them. Mirror mode changes all of this. You’d think it might be easy to adjust for it (just swap the upcoming directions in your head), but we’re so used to navigating through 3D spaces that don’t suddenly flip 180 degrees, that it really does throw you off. 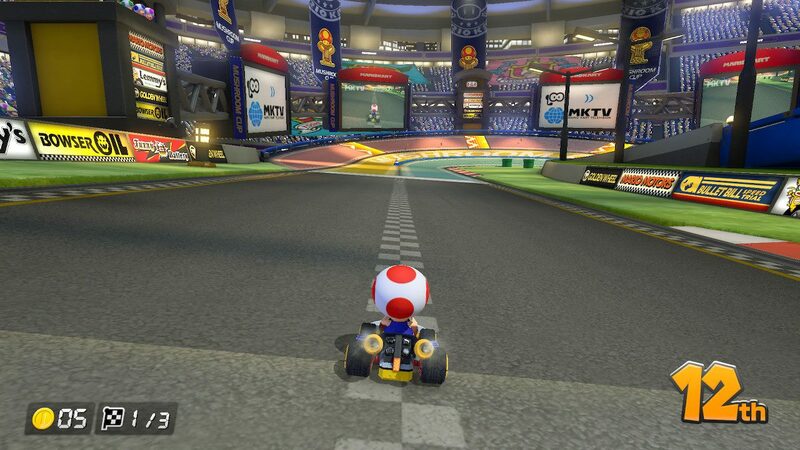 After a while, you’ll get used to the system and be able to race equally quickly in both mirror and standard modes, but it takes some relearning. This is incredibly efficient game design. A couple of small changes which should be relatively easy in any decent game engine, and players get a whole new challenge that’s not just based on adding more bullet-sponginess to your bullet sponges. Nintendo saves time and effort, players get something new and interesting to do, and in short everybody wins.